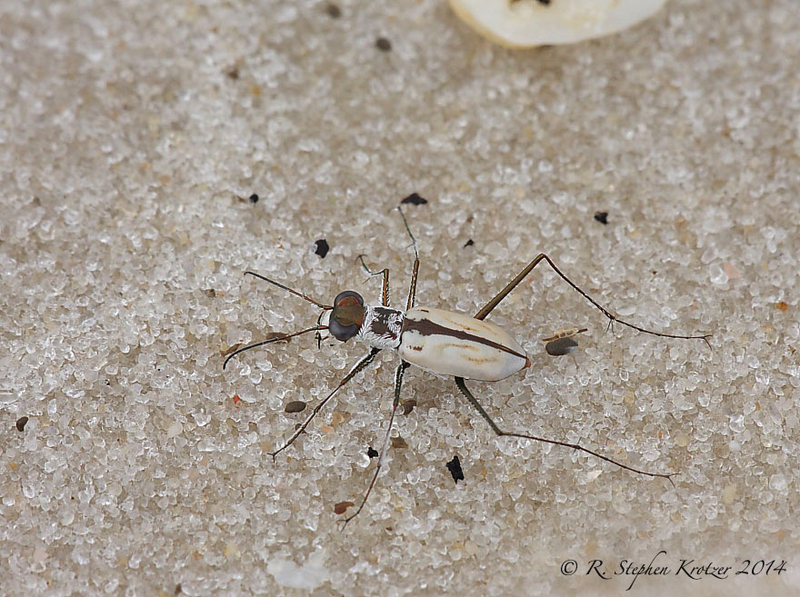 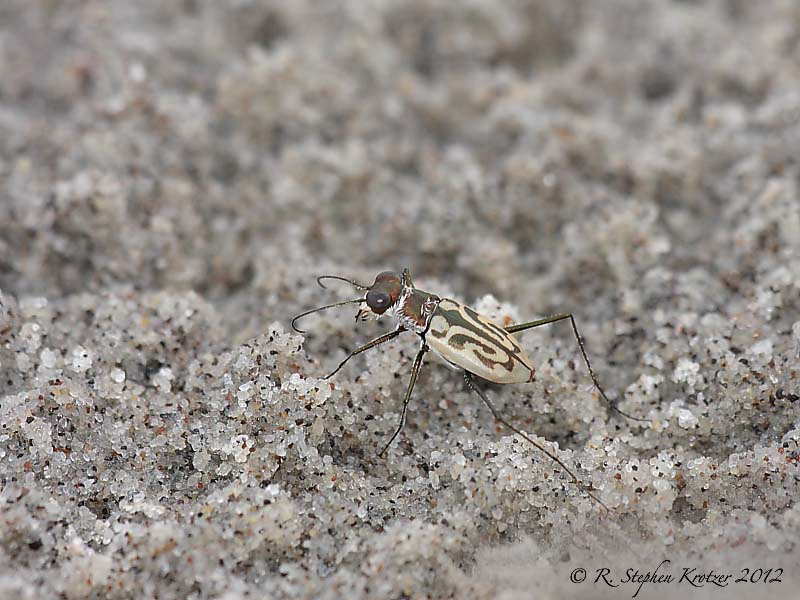 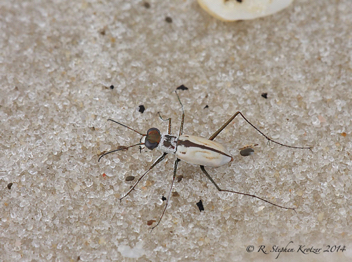 Habroscelimorpha dorsalis, as the common name implies, is in our area a Gulf Coast species, occurring along open Gulf of Mexico or bay beaches, in the zone between the water and dunes or other vegetation. 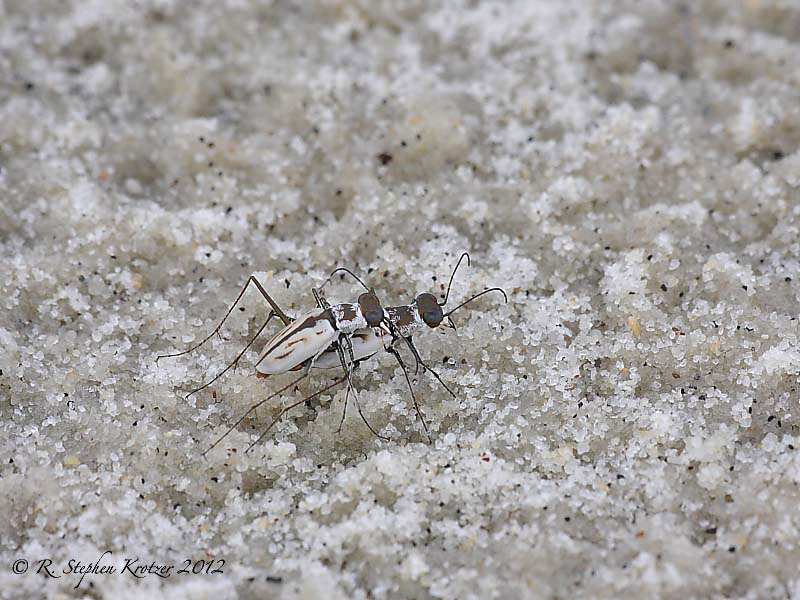 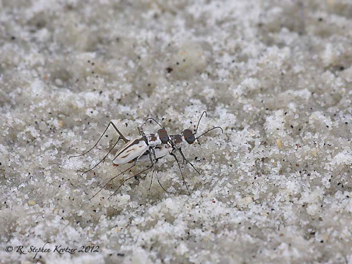 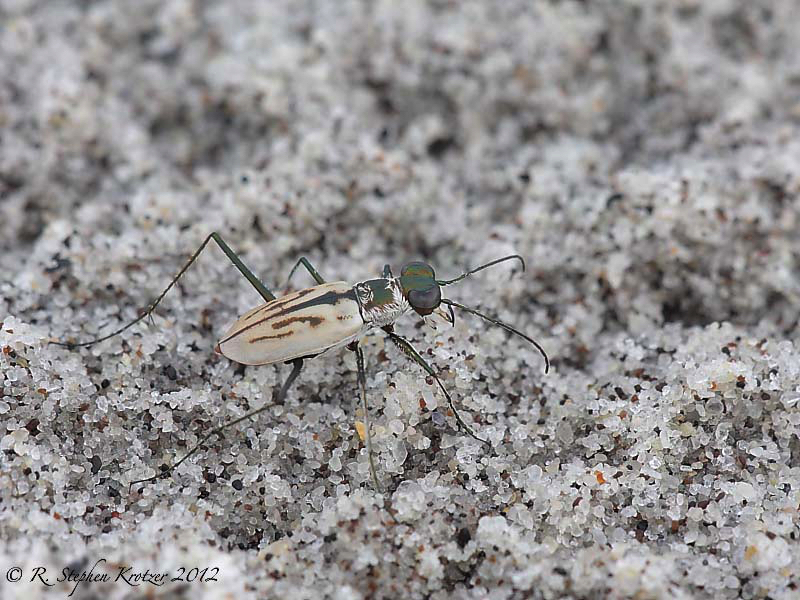 Their predominately white coloration provides excellent camouflage against the white Gulf Coast sands. 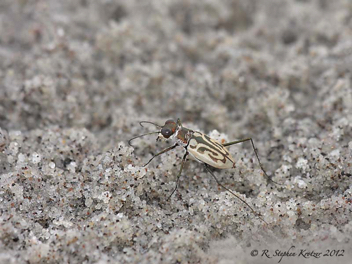 Adults are most often seen foraging in the tidal zone. 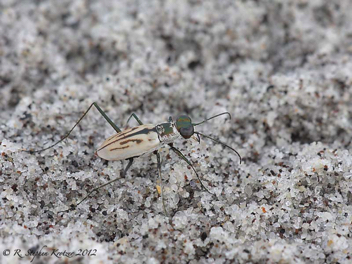 They may be highly gregarious and are usually quite wary. 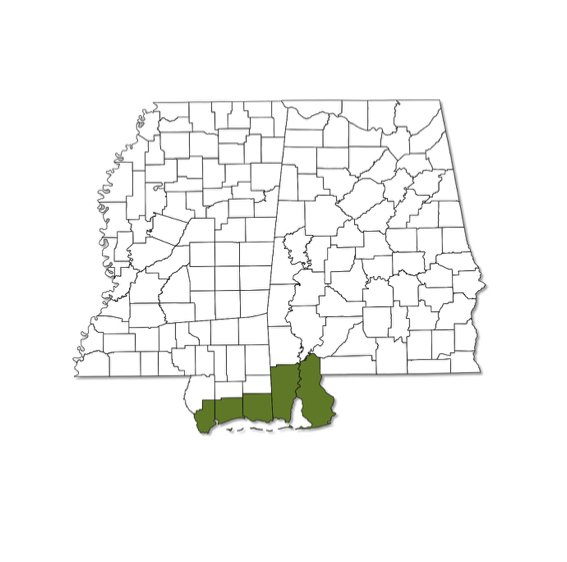 In Alabama and Mississippi, most specimens are intergrades between the darker subspecies venusta and the very white subspecies saulcyi.